Eric appeared most recently on Highlight Show 27, as well as on Show 56 recorded in 2001 at the age of 17. Eric Nathan’s (b. 1983) music has been called “as diverse as it is arresting” with a “constant vein of ingenuity and expressive depth” (San Francisco Chronicle), “thoughtful and inventive” (The New Yorker), and “clear, consistently logical no matter how surprising the direction, and emotionally expressive without being simplistic or sentimental” (New York Classical Review). Nathan is a 2013 Rome Prize Fellow and 2014 Guggenheim Fellow, and has garnered acclaim internationally through performances by Andris Nelsons and the Boston Symphony Orchestra, National Symphony Orchestra, Berlin Philharmonic’s Scharoun Ensemble, soprano Dawn Upshaw, violinist Jennifer Koh, at the New York Philharmonic’s 2014 and 2016 Biennials, and at the Tanglewood, Aspen, Aldeburgh, Cabrillo, Yellow Barn and MATA festivals. 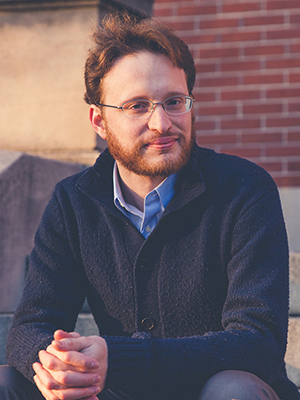 Nathan currently serves as Assistant Professor of Music in Composition-Theory at the Brown University Department of Music.